Or just download the new Office Word, Excel and PowerPoint apps now to get started. In the coming weeks we’ll also update Office Mobile for Android phone to enable the same connection to Dropbox. 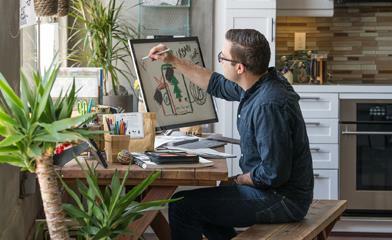 Today we announced a partnership with Dropbox to provide more choice in how you work together and collaborate. You can do more with your Office documents when they are stored online. You can easily share your documents with others, and you can access those files from anywhere, on all your devices. If you use OneDrive and Office together, you already know how easy it is to work online with Office. Over the coming weeks, we’re updating Office apps so that they work with Dropbox, too. 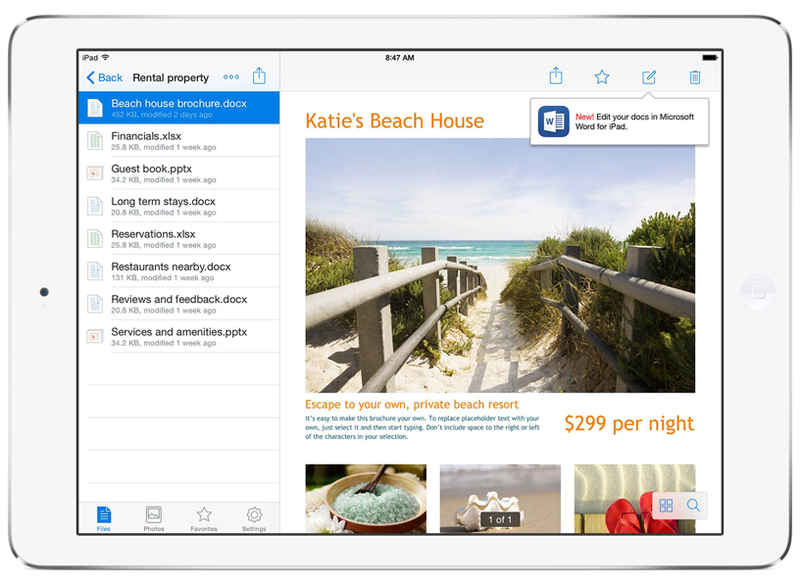 With the next updates to Word, Excel and PowerPoint on iPhone, iPad and Android Phone you’ll be able to connect to your Dropbox account, so you can access, edit and share your Dropbox files right from your Office apps. Once you’ve added your Dropbox account to Word, Excel or PowerPoint, you can navigate folders and files on Dropbox for viewing and editing in the native Office apps. 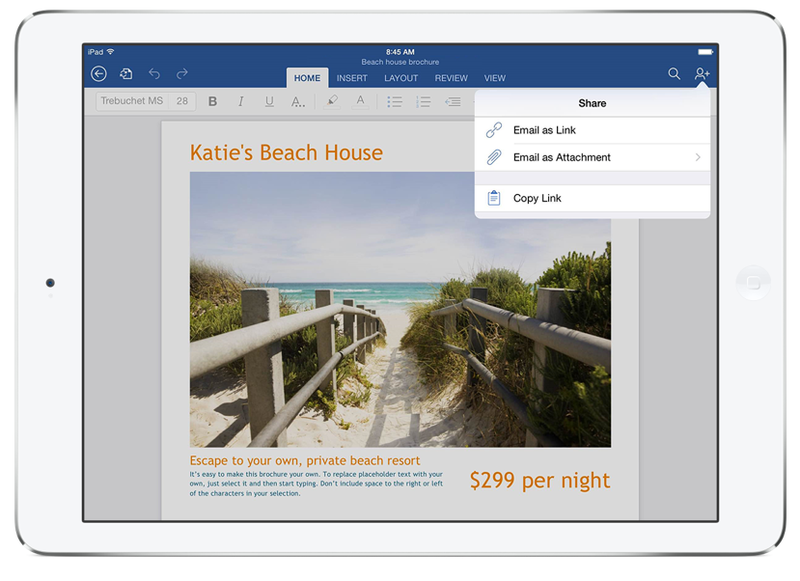 And accessing Word, PowerPoint and Excel from your Dropbox app is just as easy. 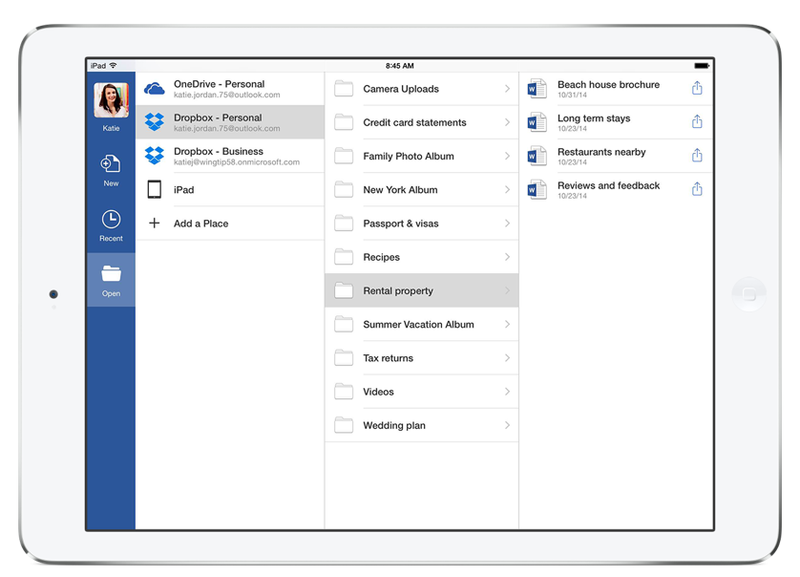 Navigate to the file you want, and the Dropbox app will open the Office app you need. When you select “edit” while you are viewing your document in Dropbox, the appropriate Office app is offered up for editing. Continue editing, and the apps work together to automatically save your changes back to Dropbox. We’ve also made it easy to share your files on Dropbox with others. Right from Word, PowerPoint or Excel, you can invite others to work with you by sharing a link to your file on Dropbox. If you are an Office user that also uses Dropbox, it’ll be easier than ever to use them together. The updates for iPad, iPhone and Android Phones will be available from your device’s app store over the next few weeks. Next year, we’ll also add connections between Dropbox and Office Online web experiences.